When it comes to making your kids listen, parents know they sometimes must get creative. 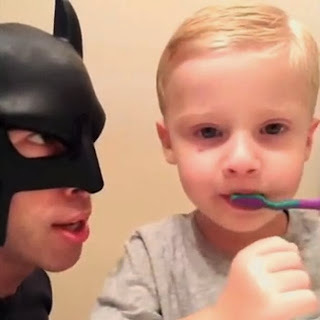 One suburban dad has taken this to a whole new level, donning an authentic Batman suit, and recording Vine videos of himself reminding his children how to behave. This superhero is defeating improper tooth-brushing, sitting on tables, and unapproved pre-dinner snacks. I think its safe to say, these kids won't be forgetting their chores (or getting bored) any time soon.